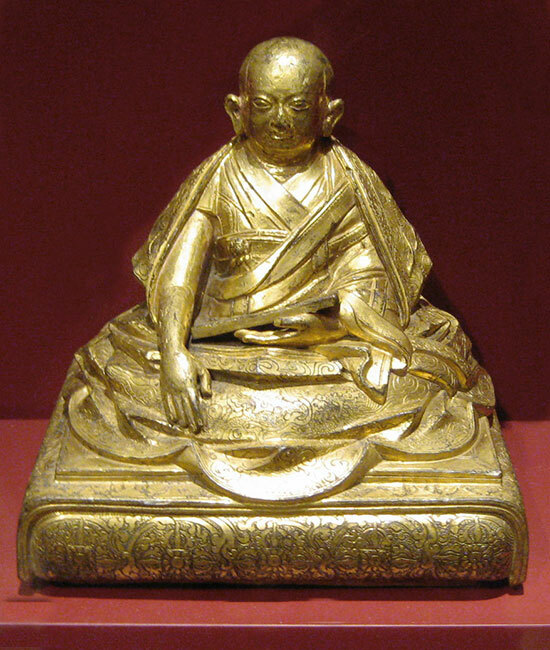 The Fifth Dalai Lama Ngawang Lobsang Gyatso (1617-1682) is one of the most fascinating figures in Tibetan history. He was a great statesman who unified Tibet under the Gelukpa order and the Ganden Podrang for several centuries. He was no less great as a literary figure, whose collected works include some of the masterpieces of Tibetan religious writing and a marvelously shrewd autobiography. One day I’ll write more about his extraordinary life and death. This short piece, drawn from “Words of Manjushri,” shows him in a poetic and contemplative mood. He presents the basic stance of Tibetan Buddhist psychology in an unusual, intensely-personal voice, to moving effect. Someone has been in my mind for time with no beginning. There has never been a moment when they were gone. I live, and live again; the mental afflictions. They will leave me alone to rot in the ocean of suffering life, without an end in sight. It comes like the wind, with all the things I never wanted. It whips around me everywhere and stirs great waves – the three forms of suffering. I could wander around this sea forever – the torch would spin and the circle of light would blaze. Think on this, and see that the afflictions of the mind are the one true enemy. The enemy of living for this life must die. You must pretend that you are warrior enough to be the one. Your foes, the afflictions in your mind, have always been waiting, ready for the battle. The time has surely come – go forth now and defeat them. Dig it. Curious: your translation, or someone else’s? Nope, I’m but a messenger. This is in my notes from long ago, when I was studying in Dharamsala, and I don’t remember who did the translation.